Leon, Darren Forman and Josh Garrity climb back aboard the Normandy to once again explore BioWare’s rich, galaxy-spanning fiction. 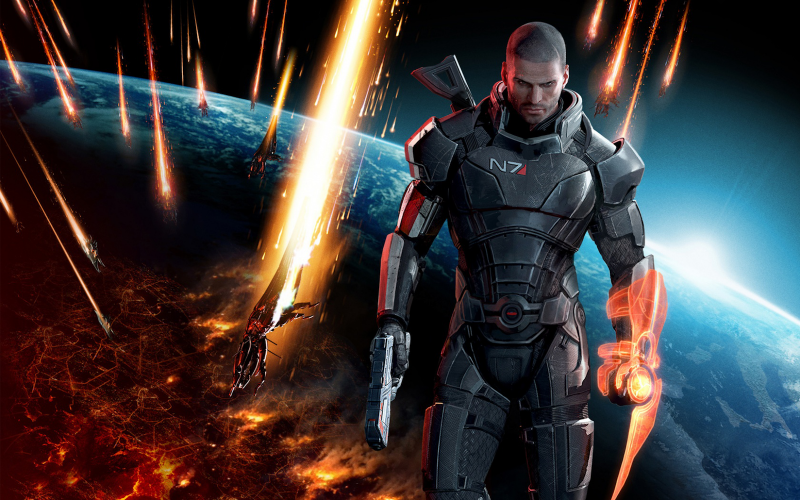 Do the earlier games in the Mass Effect series justify the fever for the third? The first 3 Mass Effect books were written by Bioware employee and lead writer of Mass Effect and co-lead writer on Mass Effect 2 Drew Karpyshyn. Very worth reading the ones with his name on. I couldn’t put them down. Don’t discount the first 3 because of the 4th. I’m looking forward to hearing a podcast detailing the 3rd game, including the debate over the ending(s) (which I thought were a blight on an otherwise excellent game). Thank you. Being C&R we’ll be waiting until long after the dust has settled before we take a look book at ME3. Stick with us until then though!